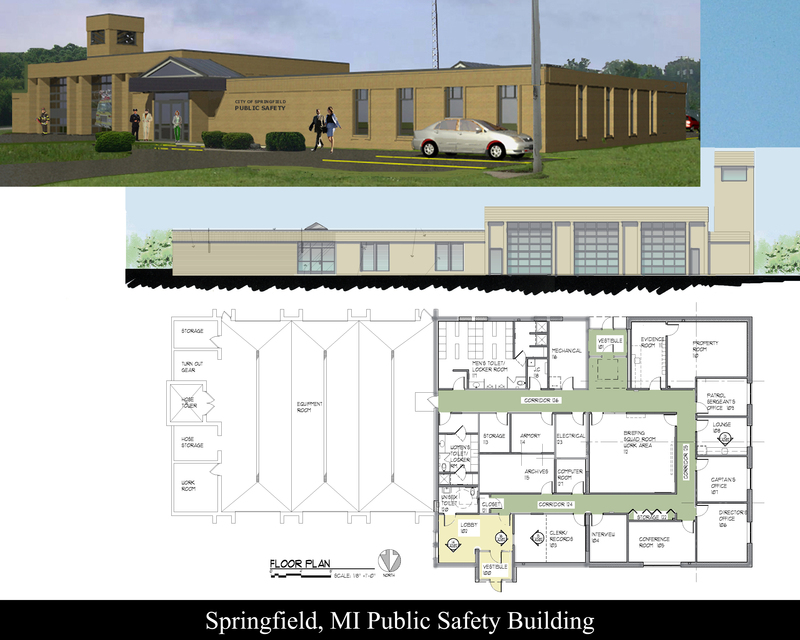 Public Safety Addition - Design-Build, Springfield, MI - Redstone Architects Inc.
Redstone Architects, Inc. completed an addition and renovation for the City of Springfield’s Public Safety Department. The Needs Assessment resulted in a recommendation of a 2,700 square foot addition to the existing facility. The addition provided for the upgrading of administrative offices, and locker rooms, as well as the addition of a briefing area, evidence and property rooms. The project was a design build effort with O’Brien Construction Company.